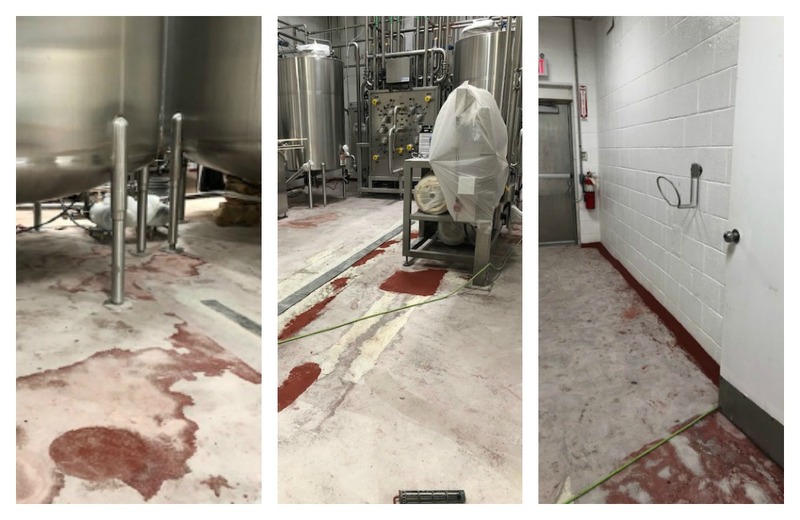 -Amy D. Manghelli, President, Surface Solutions, Inc.
A beverage processor in Indiana, one of our newest customers, needs a new flooring system installed around the existing equipment and drains of a 3,500-square-foot space. Before the installation begins, the old epoxy topping is diamond grinded off and the depressions in the substrate are pre-filled with Ucrete. SSI trowels in a 3-inch cant cove base using Ucrete RG, then applies Ucrete DP to 3/16-inch nominal thickness. After broadcasting 40 S Quartz for slip resistance, a Novolac topcoat in red is applied using SS253, a Surface Solutions private label product. Powerful floor protection formulated specifically for food and beverage facilities, and only four days to complete. What Is a Cant Cove Base, Exactly? 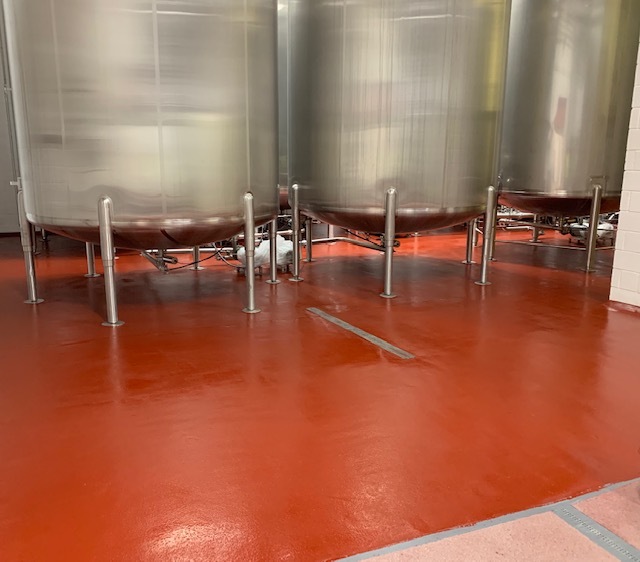 Contractors who are adept at installing cove for seamless cementitious urethane (Ucrete) or epoxy flooring systems specify one of two types of cove: radius cove or cant cove. Both require a skilled installer for the hand-troweled application. A cant cove is installed at a 45-degree “cant,” or angle where the floor meets the wall. Some installers say cant coves can be installed at any height, although they typically rise two to six inches up the wall. Building a cant cove uses more material than a standard radius cove; however, the more substantial corner angle insures liquids will not stand in the crease of the floor and the wall, preventing mold or penetration to the sub-surfaces. Also, cant coves are designed to keep cart wheels, machinery or equipment from coming in contact with the wall. The standard cove is the integral radius cove, installed at four to six inches in height and 1/8-inch in depth with a curved radius. A radius cove is also used as a waterproofing feature and can be quite decorative as well. 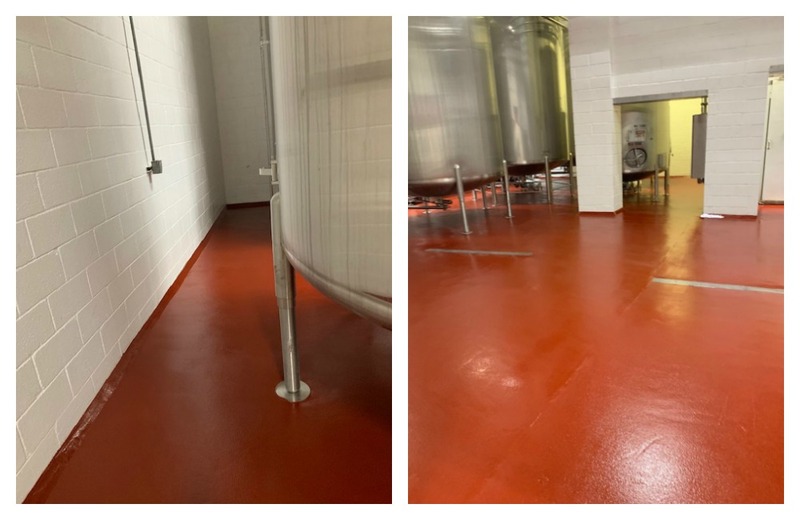 Get a look at other successful industrial flooring system installations completed by Surface Solutions by visiting our Work Showcase.